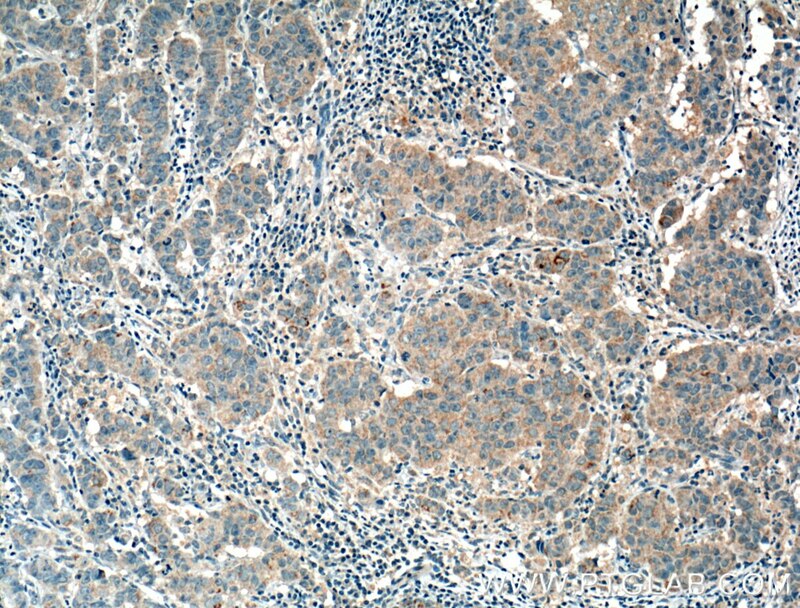 Immunohistochemical analysis of paraffin-embedded human prostate cancer tissue slide using 66263-1-Ig( FRS2 Antibody) at dilution of 1:400 (under 10x lens). heat mediated antigen retrieved with Tris-EDTA buffer(pH9). 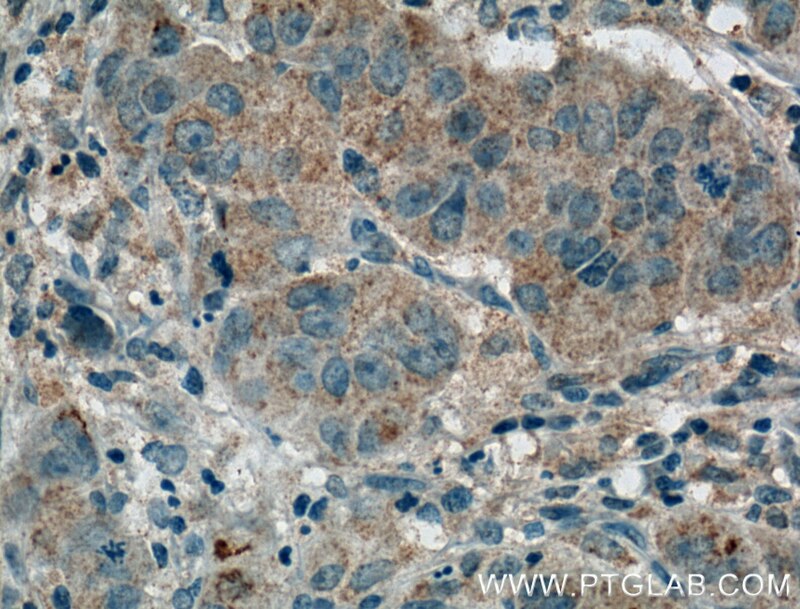 Immunohistochemical analysis of paraffin-embedded human prostate cancer tissue slide using 66263-1-Ig( FRS2 Antibody) at dilution of 1:400 (under 40x lens). heat mediated antigen retrieved with Tris-EDTA buffer(pH9). Fibroblast growth factor (FGF) receptor substrate 2 (FRS2) has an alternative name as SNT-1, it is an adapter protein that links activated FGR and NGF receptors to downstream signaling pathways. FGF receptor substrates (FRS2 and FRS3) are key adaptor proteins that mediate FGF-FGFR signalling in benign as well as malignant tissue. FRS2 is a 508 amino-acid protein,which is phosphorylated on tyrosine residues. The molecular weight of non-phosphorylated FRS2 is 57-68 kDa, but phosphorylated FRS2 is 80-90 kDa. Phosphorylation of FRS2 is associated with activation of a number of MAP kinases. Allele-specific regulation of FGFR2 mRNA expression with a mildly increased breast cancer risk has been reported.